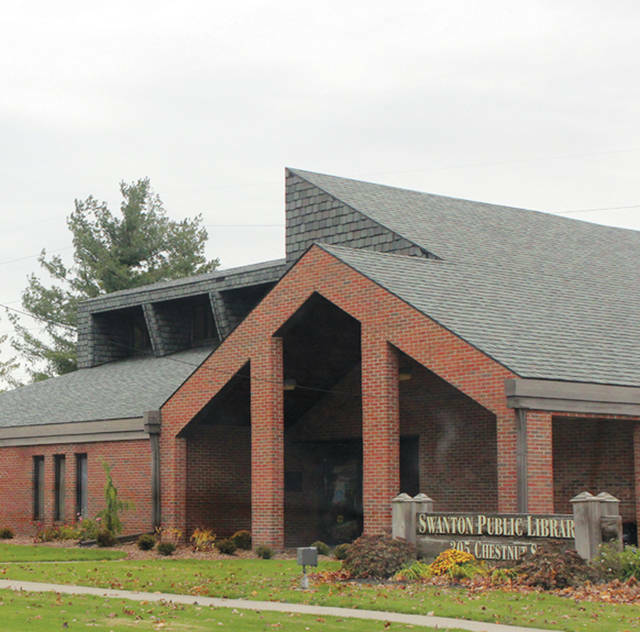 Several adult programs are planned in October at the Swanton Public Library. Mixed Level Hatha Yoga I & II will be held on Mondays, the 15th, 22nd, and 29th from 10:15 a.m. to 11:45 a.m. These sessions are slightly more advanced, providing an opportunity to expand participants’ skill levels. Class fee is $10 per session. Hatha Yoga Basics will be offered on Thursdays, 11th, 18th, and 25th from 10:15 a.m. to 11:45 a.m. Class fee is by donation, proceeds benefit the library. Chair Yoga will be offered on Thursdays the 11th, 18th, and 25th from 2-3 p.m. Class fee is by donation, proceeds benefit the library. Representatives from Oak Openings Metropark will visit once again to talk about migratory birds in Ohio. They will talk about all the visitors to the area, as well as the ones leaving us for warmer weather, and how one can best attract them to your yard. They will also discuss the Raptor Monitoring Project and what sorts of raptors call Ohio and the Oak Openings Region their home. Oak Openings representatives will be at the library Tuesday, Oct. 9 from 5:30-6:30 p.m. Call 419-826-2760, stop in, or use the library website to register for this free program. The Book Club will be meeting on Thursday, Oct. 11 from 7-8 p.m. October’s title is “The Leisure Seeker” by Michael Zadoorian. Copies in various formats (large print included) are available behind the circulation desk. Registration is not required for the book club, and all are invited. Toledo-based paranormal investigators Fringe Paranormal will be at the library on Wednesday, Oct. 17 from 7-8 p.m. Fringe members will host a panel about their work in general and let everyone know what they’ve been up to over the past year. This program is free, but call, stop in, or register through the library website. The library is hosting a couponing class on Monday, Oct. 22, from 6:30-8:15 p.m. Couponing guru Bridget Foster will be there to help walk you through the basics. This includes coupon policies, effective usage, building your stockpile, online coupons and apps, and more. This program is free to attend, but registration is required. Just in time for Halloween, the SPL Movie Discussion Group will be tackling the horror classic “The Silence of the Lambs” on Wednesday, Oct. 24 from 7-8 p.m. No registration required. Copies of DVDs for anyone interested in the discussion will be available behind the front desk. These titles will have a week-long loan to let you enjoy them at your leisure, but copies are limited. Registration is not required for this program. Val from the Fulton County Senior Center will be returning to the library on Thursday, Oct. 18 from 10 a.m. to 3 p.m. to help with Social Security questions, billing, assistance programs, and more. Appointments can be scheduled for any interested visitor, aged 60 or older. Room is limited, so call Val at 419-337-9299 to schedule your appointment today. This is a free service provided by the Fulton Co. Senior Center. Winter is almost here and with it comes the usual woes of the cold season. From head colds to the winter blahs, there are all sorts of things that can ruin your holidays. On Wednesday, Oct. 24th from 6:30-7:30 p.m.,naturopathic tips and tricks to help give you a little boost through cold and flu season will be shared. This program is free to attend. Call, stop in, or use our website to register! Here by popular demand, Donna will be helping you paint the long-awaited pig portrait on Thursday, Oct. 25 from 5-8 p.m. Class fee is $25 per person and registration is required. All supplies are provided by the instructor. Stop in, call, or use the library website to register. On Thursday, Oct. 25 from 6:30-8 p.m. Anna Geis will help you create three cards on a theme. October’s theme is Autumn. Class fee is $10 per person and children 8 and under are welcome if accompanied by an adult. Call, stop in, or register online. The chess group meets at the SPL on Wednesday evenings at 6 p.m. and Saturday afternoons at 1 p.m. Players of all skill levels are invited. The monthly knitting group will next meet Oct. 17 from 6:30-8 p.m. No experience required and all are welcome.